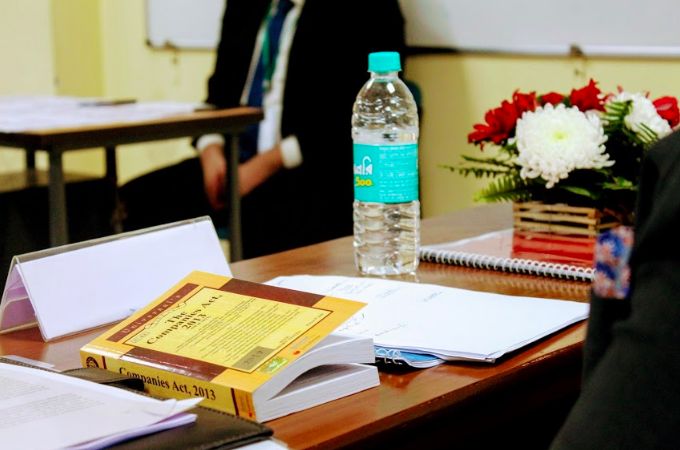 The 11th edition of the NUJS National Corporate Law Moot Court Competition 2019 to be held in association with Herbert Smith Freehills LLP will be conducted in the West Bengal National University of Juridical Sciences campus from the 25th of January to the 27th of January, 2019. Over the last decade the NUJS-HSF Moot has gained a reputation as one of the foremost corporate law moots in the country. The 11th edition will witness the participation of teams from 24 leading law schools from across the country. 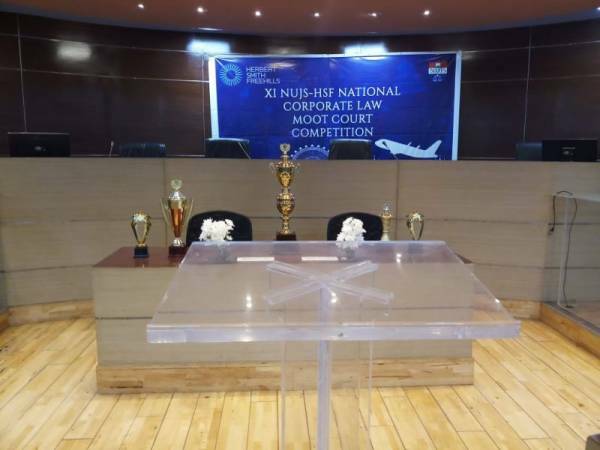 Like previous editions the moot will be judged by a stellar pool of judges which will include legal practitioners excelling in the field of corporate law, litigation, academia, etc. and will serve as a unique opportunity for students to showcase their understanding of corporate and commercial laws before them. This panel will include Mr. Chris Parsons(Partner and Chairman of the HSF India Group) and Mr. Nicholas Peacock (Partner and Head of India Disputes). It aims to provide a platform for law students to learn about the rich and complex field of Indian corporate law and sharpen their advocacy skills. 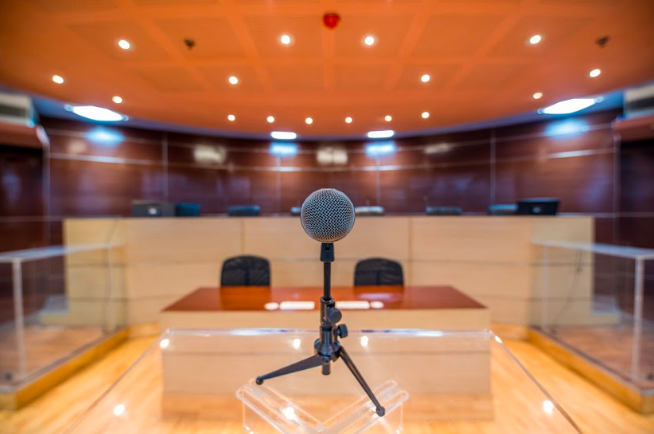 The moot problem has been drafted by Rhodes Scholar and Barrister at One Essex Court, Mr. Niranjan Venkatesan and is based on contemporary issues in corporate and commercial law in India. The blog will go live tomorrow at 4:30 pm with updates on the event. Good morning everyone! 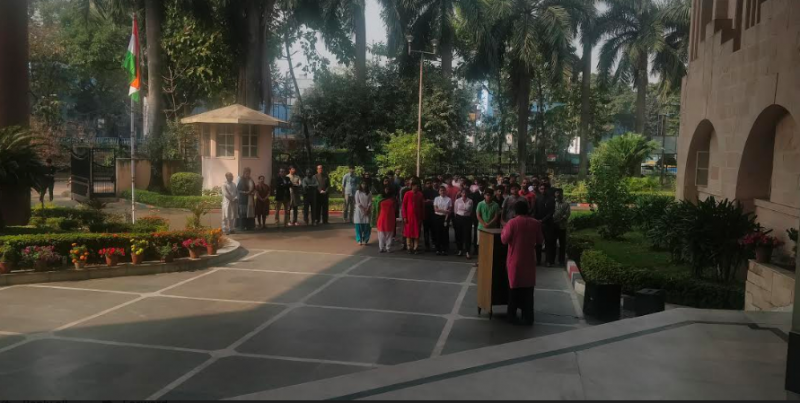 On account of the 70th Republic Day, celebrations were held in the campus. A picture of the same has been attached. Parallely the judges briefing was held in room 107.The participants are now all geared up to present their cases. We wish them the best of luck! 12:30: The preliminary round one has ended. The participants have proceeded for lunch. 14:30: Preliminary round two has begun. 16:30: Preliminary round 2 has ended. Participants break for refreshments. The quarter finals have begun. 8 teams fight it out to reach take home the winning trophy. We congratulate the following teams who have qualified for the quarter finals (in no particular order). Good morning everyone, the judges briefing has ended. As the competition gets tougher the day will witness the knockout stages of the tournament where teams will battle it out in the finals and the semi finals to emerge victorious. The Informal Discussion group is organising its 68th session with Mr. Chris Parsons (Partner and Chairman of HSF India Group), Mr. Nicholas Peacock (Partner and Head of India Disputes) and Ms. Shruti Ranjan (Partner, Cyril Amarchand Mangaldas and batch of 2007 alumna from NUJS). The talk will cover the theme "Life in a Corporate Law Firm". The finals have begun and are in full swing with the teams bringing out the best arguments to take phone the title of winner. The two teams that have made it to the finals are National Law Institute University, Bhopal and National Law University, Odisha. We wish the teams the best of luck! Results: The finals were won by the National Law University, Odisha with National Law University, Bhopal emerging as the runners up. Congrats! How is jindal doing in this moot? after paying those fees. PDG is the new MCS faculty advisor? Nice! When did that happen? About time the last ones were removed, they knew jack about mooting. At least she is an alumnus and can appreciate the importance of mooting. Only one of them was, who was forced by the other to resign when he refused to sign bills submitted without proper documentation. The financial scams surrounding the MCS aren't something new. It is suspicious how some top NLUs were eliminated in the early rounds. I hope the judging was transparent and fair. Please disclose judges and scores. PDG is actually a wonderful choice. Human being par excellence and of course no one can question her academic credentials. Good choice and all power to her. @Moo Point 3: Not both of the previous ones. I do not consider LLM alumni of NLUs as true alumni. @nope: Clearly shows you can't understand or don't have the patience to read plain English. There were 2 faculty advisors before. One was LLB alumnus, the other not. The point was being made about the second one. who won the side awards? Sorry to know that you had had a less than ideal experience at the event. Can you elucidate a bit so that we can try to improve ourselves on those fronts next year onward? Thank you for your constructive and enlightened criticism and suggestions. Helps a whole lot!